Want to teach your audience to live healthier? 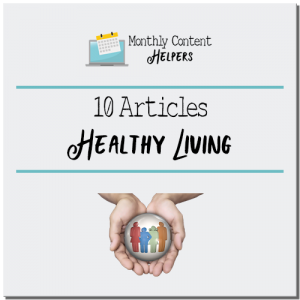 These healthy living articles will inspire you and delight you. Each is at least 450 words long, well written, can be backed up by research, and you can use them however you want. Turn them into autoresponder emails, create a course, or combine to create a book. It’s up to you. Grab this 10 Pack for Family Budgeting right now so that you can get your financial life in order or help others get theirs in order. You can turn these ten articles into a report, an e-course, or a webinar series. It’s totally up to you. for a TOTAL cost of ONLY $12.97! Because of the nature of downloadable products, we do not offer refunds. Read more about our refund policy here. Sometimes it can seem hard to come up with ideas for generating more content. You need content for your blogs, your email lists, your products, your social media… it never seems to end. But, it doesn’t have to be hard, we’re here to help. 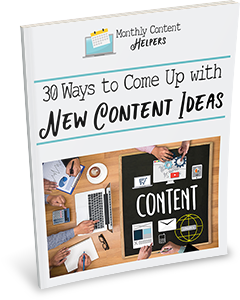 Grab this freebie, sign up for our email list, and you’ll get even more ideas to help you create new content. After all, we want to be your content helpers. Copyright © 2019 · Built Using the Genesis Framework from StudioPress. · Customized by Appetite for Design.